Join us for a 1-hour class each week to cook up a different recipe! Each 4-week series explores new tastes and techniques to make the most out of our season's favorite ingredients. 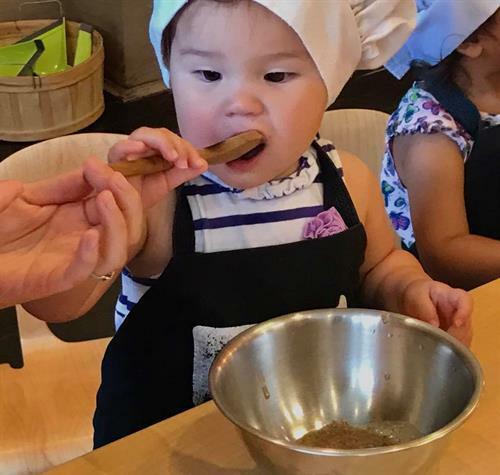 Yes, your tot can cook! With the guidance of our chef instructors, our carefully selected cooking tools and a little help from you, kids get to chop, grate, mix and roll their way to delicious dishes. If you have a picky tot, you may be amazed at what they’ll eat when they make it themselves! Parent/caregiver participation required.